The support of the metabolism of joints in the case of osteoarthritis in adult dog AND chronic kidney disease (all IRIS stages). Original: Brewer's rice, maize, flaxseed, animal fat, dried beet pulp, digest, dried whole egg, pea protein, fish oil, soybean oil, minerals, L-carnitine, vitamins, cartilage hydrolysate (source of chondroitin sulphate), trace elements, crustacean shell hydrolysate (source of glucosamine) and beta-carotene. With a natural antioxidant (mixed tocopherols). 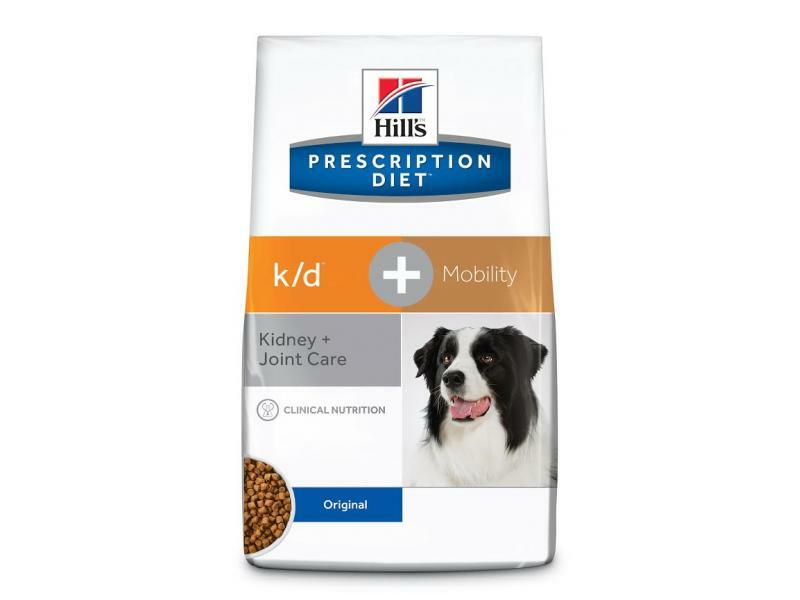 Below are some recent questions we've received regarding Hill's Prescription Diet k/d + Mobility, Kidney + Joint Care Original Dry Dog Food, including answers from our team. Protein makes us 15.65% of the food.